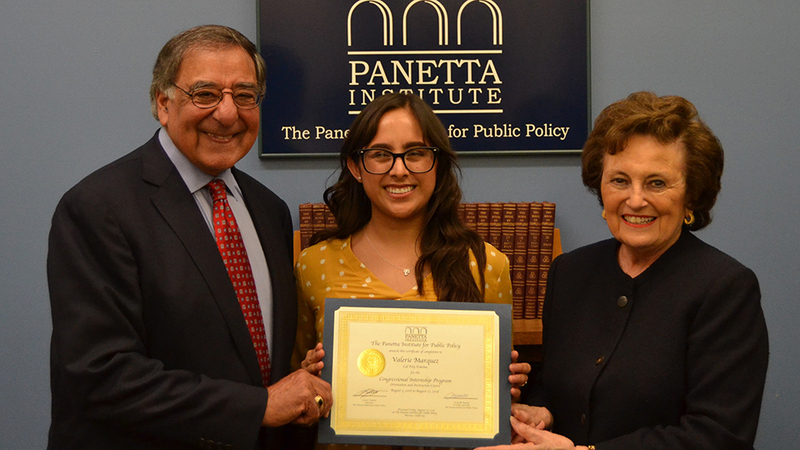 The Panetta Institute is a nonpartisan center for the study of public policy, located in Monterey, CA. Co-founded by Leon and Sylvia Panetta it is committed to inspired leadership and to creating opportunities for education and debate. 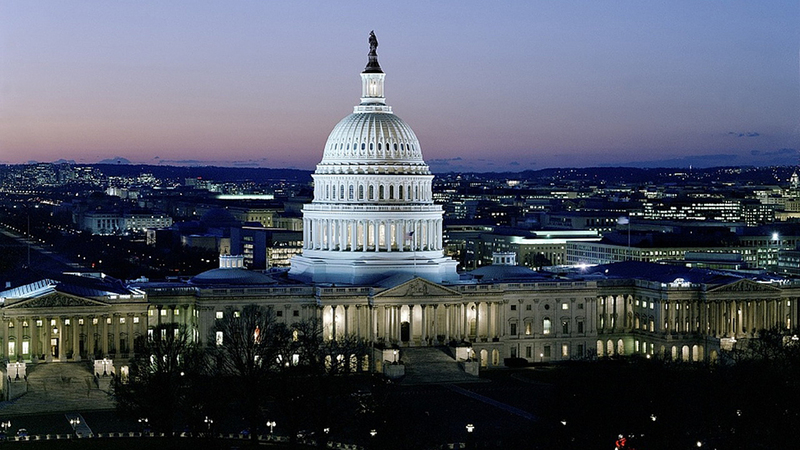 Each fall the Panetta Institute hosts students for its Congressional Internship Program, beginning with a 2 week intensive in Monterey, CA and continuing in Washington, D.C. through mid-November. 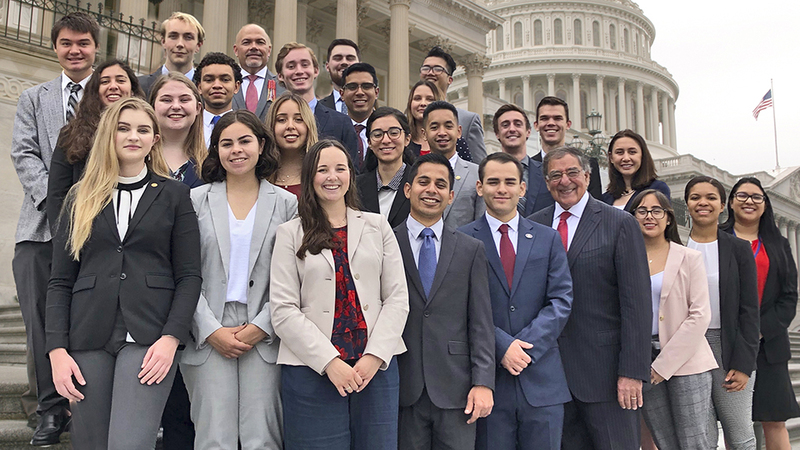 To become a Panetta intern you must be nominated by the president of Cal Poly, Pomona, and approved for participation by the Panetta Institute. Begin the process by submitting an application, along with all other required documents, by Monday, 2/11/2019 at noon to the Dean’s Office in the College of Letters, Arts, and Social Sciences (Bldg. #5, Room 158). For questions, contact Dr. Sara Garver at sagarver@cpp.edu. Students in any college and majoring in any subject are eligible to apply. Applicants must be currently enrolled with junior class status, and have a 3.0 GPA or higher in college course work. For additional information about the Panetta Internship Program – Please watch our YouTube Video of former CPP Panetta interns describing their experiences.